The Federal Highway Administration (FHWA) in the Department of Transportation has designed all traffic signs found in the Manual on Uniform Traffic Control Devices that all US states must follow. And, according to roadtrafficsigns.com, this manual actually explains what these designs signify: the stop sign elicits fear by exuding power and complexity as a red octagon; triangular and diamond-shaped signs (like the yield sign) elicit caution by exhibiting instability or conflict; circular signs elicit comfort by representing stability and wholeness, and square-shaped signs elicit familiarity by symbolizing order and security. If this sounds invented, according to trafficschoolonline.com, much research has gone into the designs of road signs with shapes, colors, symbols, and words so that drivers unconsciously react quickly and appropriately given the intended message of the sign. Dornbos Signs and Safety also backs up this claim, explaining this is also a big reason why the government standardizes road signs, with the intention to communicate with drivers while keeping their conscious focus on the road. Except for these signs. 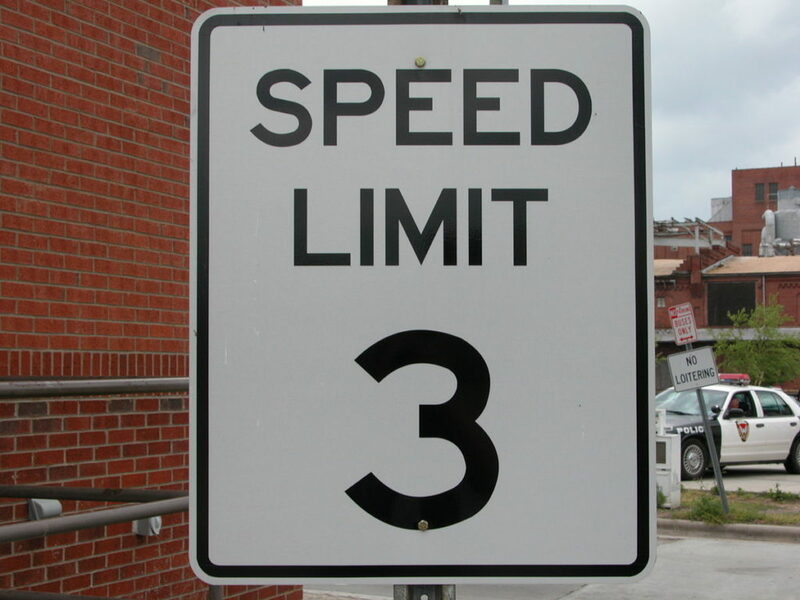 Brandy Miceli of San Jose Mercury News noted that for this specific road, city officials wanted to grab the attention of drivers with signs like these to prevent them from driving around a blind curve at high speeds where accidents commonly happened. So, if it does grab your conscious attention, there is probably a good reason for it. 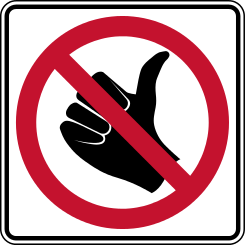 But apart from colors and shapes communicating certain messages to drivers’ subconscious, the FWHA also organized signs as such. According to the FWHA’s website, colors like blue indicate roadside services, while brown indicates cultural or recreational sites, and yellow indicates a warning. They also note that signs use images to overcome language barriers and communicate messages faster. As you can see, some of these strategies are used throughout the world. 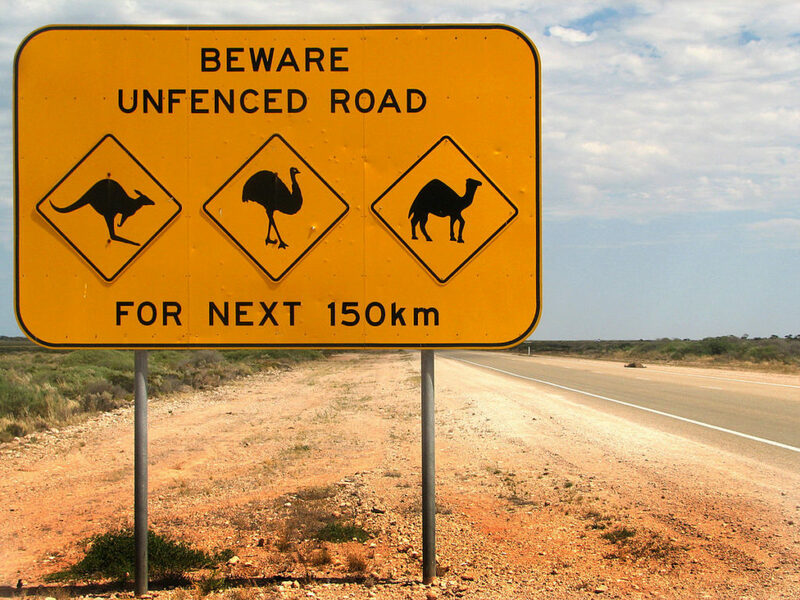 You don’t have to look for emus, camels, or kangaroos in the US, but I bet you know these signs. While there is an international system known as the Vienna Convention on Road Signs and Signals, the US has not adopted it. Many of the symbols are the same. The colors and shapes generally differ except for the stop sign, yield sign, parking sign, and a few others. But we don’t have to worry about that. We just have to worry about the signs in front of us. 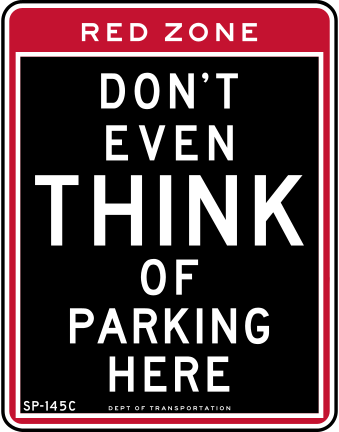 Maybe the next time you drive you’ll be a little more aware of everything signs are communicating. And if not, I’m sure you’ll get the message anyway. 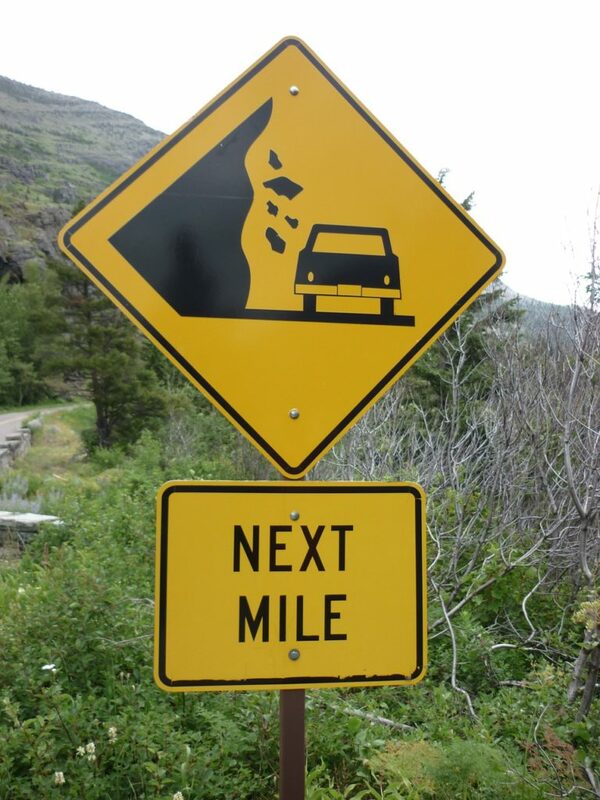 And please watch out for hitchhikers.